1.die head use split-level spiral mandril,can swing successively around 360 degree. 2.The structure of Mechanics screen changer is rational,it is more convenient to change the screen. It is used to be reliable. 3.Unit fit out kinds of parts: mark length unit¡¢sliver unit¡¢cooling log raft¡¢flattening roller¡¢winding unit. 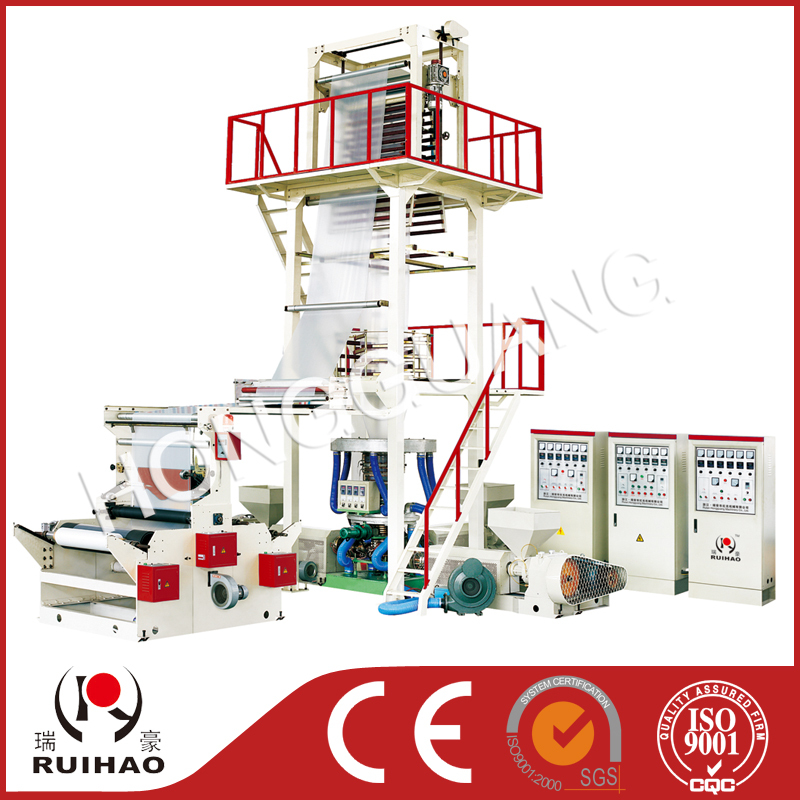 A+B+C Series Three-layer Co-extrusion Rotary Die-head Film Blowing Machine has been improved designed and manufactured by our company referring to foreign and local technology. It can blow all kinds of LDPE¡¢ HDPE ¡¢LLDPE ¡¢ MLLDPE packing film about the breadth of 800/1500 mm the thickness of 0.08mm successively by squeeze.This film is widely used to light or heavy package such as kinds of fresh fruit ¡¢ meat ¡¢ pickles¡¢fresh milk¡¢ drink etc. because of its good barrier¡¢Moisturizer¡¢ prevent damp ¡¢prevend rain ¡¢prevent wind ¡¢ prevent frost ¡¢prevent O2 ¡¢oil proof.